The Soluxio solar lighting product range offers revolutionary lighting & connectivity systems. Soluxio products are powered by unique cylindrical solar panels, and are independent from a power grid. 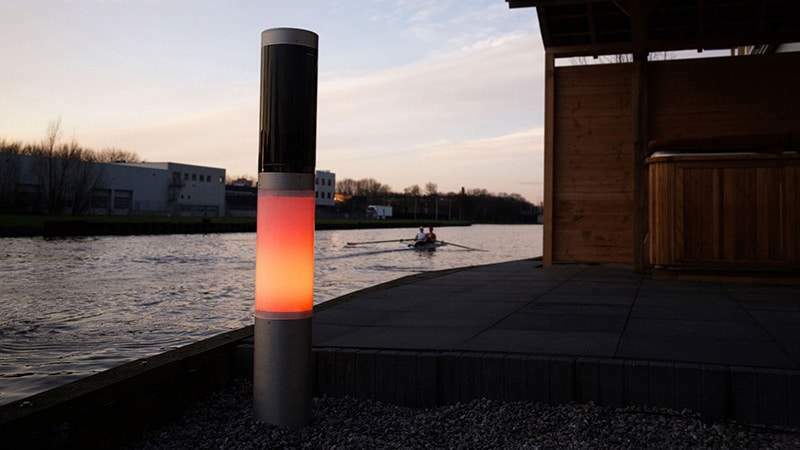 The Soluxio solar lighting & connectivity columns can therefore offer unlimited freedom to the design of your terrain. Soluxio integrates the most efficient photovoltaic cells in patented curved solar panel technology and exclusively uses durable components and state-of-the-art electronics. Soluxio solar lighting products are sustainable, reliable and built to last. Soluxio solar lighting systems can be governed wirelessly and generate their own electricity, making cables a thing of the past. There is no need for trenching and invasive roadworks, which greatly reduces cost and nuisance. All Soluxio solar lighting systems are entirely energy-neutral during operational life. By integrating the most efficient solar cells available on the market in cutting-edge designs, the Soluxio product range provides our customers with efficient and reliable solutions for building a sustainable future. Street lights play a key role in the future of Smart Cities. The advanced connectivity features of Soluxio products help to make this future a reality today. With a smart remote management system that uses the latest wireless communication technology, each Soluxio solar lighting column can be governed securely from any given location. Soluxio offers more than street lighting. It can operate as a solar powered networking platform. Smart City sensors and other IoT (Internet of Things) applications can easily be installed. Soluxio is ready for the future of Smart Cities. Are you? All Soluxio solar lighting systems run entirely on green electricity generated by their own unique cylindrical solar panels. This means Soluxio generates all the power it needs to support lighting and communication appliances in an entirely carbon-neutral manner. By combining quality materials with state-of-the-art technology, we aim to create efficient products that help our customers build a sustainable future. All our solar lighting systems make use of advanced dynamic dimming for instance, which automatically adapts to local conditions in order to minimise light pollution whilst extending product life. 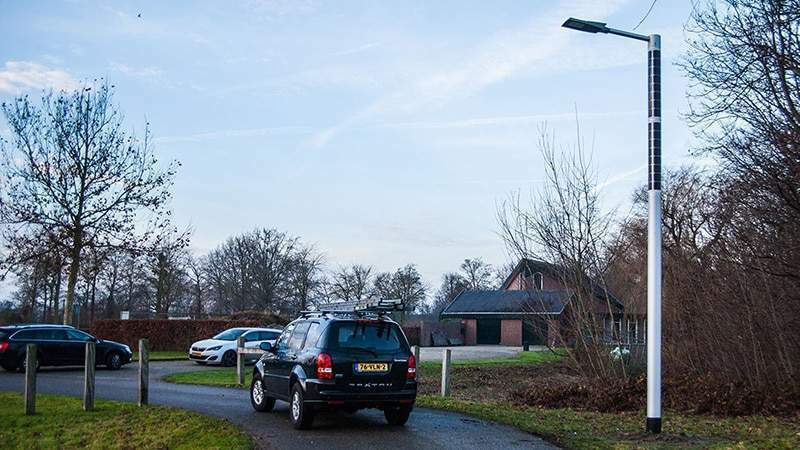 The Soluxio solar light post is the ideal solution in environments where no electricity network or infrastructure is available. In addition to its smart features, such as weather prediction and independent solar module operation, the Soluxio also serves as an OEM platform to which you can add your own technology. This allows the Soluxio to host a wide range of applications, such as charging mobile devices, or transmitting WiFi or mobile network signals. The Soluxio Connect solar mobile access point is a fully autonomous WiFi hotspot that offers flexibility in your outdoor network. 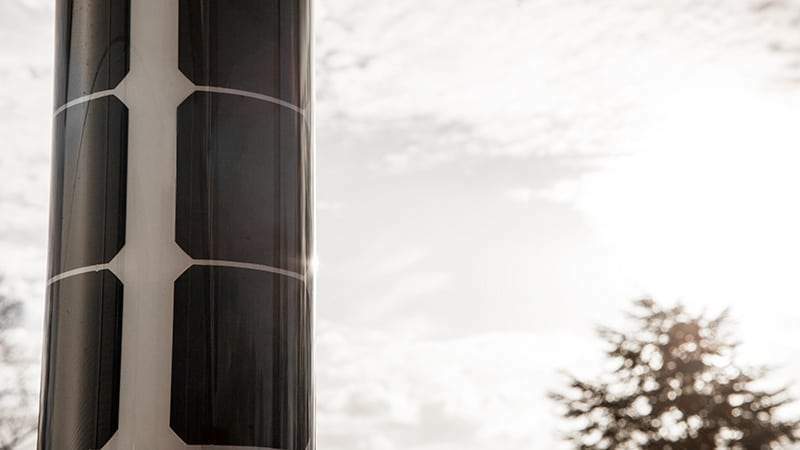 With the Soluxio Connect, you can create a powerful WiFi network that is powered by solar energy, all integrated in a stylish pole. Place the Soluxio Connect anywhere you want it. 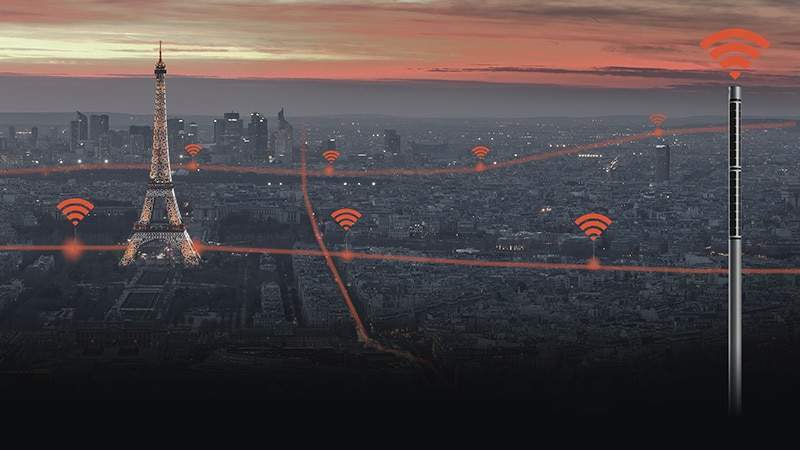 The Soluxio Connect can extend the range of an existing wireless network, or you can connect the solar mobile post with a 4G cellular mobile router. Provide wireless connection to anyone, anywhere. 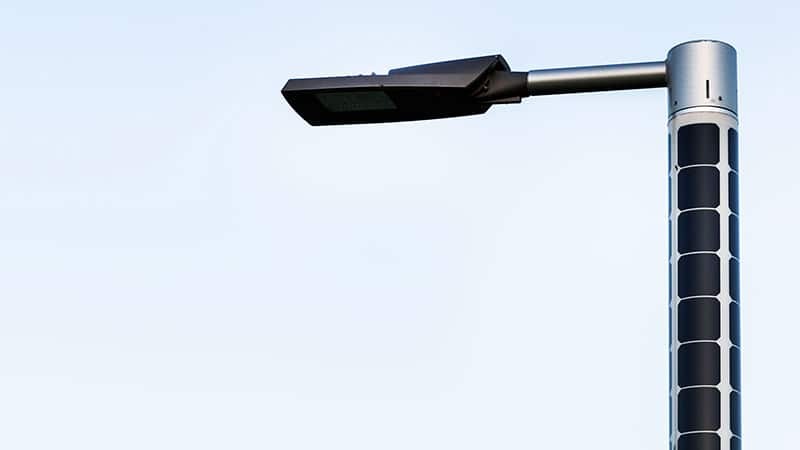 When luxury needs to be environmentally friendly, the NxT lamp post offers the ideal solution. This completely customizable outdoor lighting system will lighten up any terrain in any color, and any configuration you desire. You can move the NxT solar lamp when and wherever you deem fit. Not only will you help the environment by switching to NxT outdoor lighting, your terrain will look all the better for it. Meeting the demands of modern traffic control regulations does not have to be costly. With the NxT road safety lighting options you can regulate traffic without an upsurge in electricity costs. 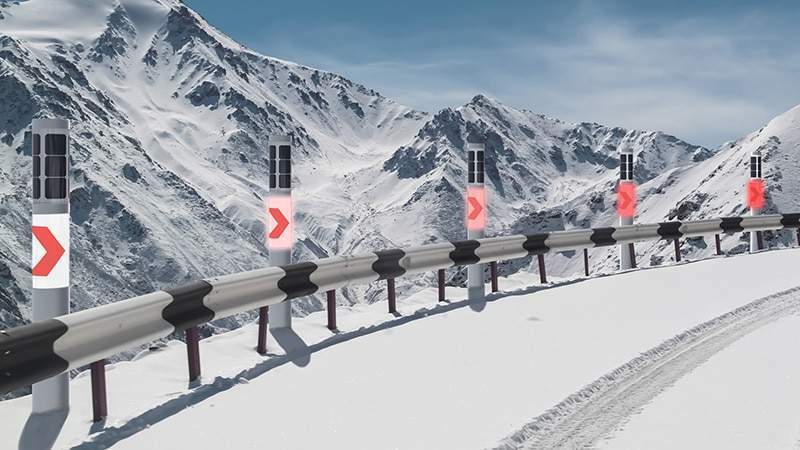 Particularly in more demanding locations without a power grid available such as mountain roads or water passages, NxT road safety lighting options will help prevent accidents as well as impending debts. The Soluxio Grid solar street light offers the perfect solution to building a greener tomorrow on the infrastructure of today. Due to its highly efficient solar panel modules, the Soluxio Grid feeds solar energy to the power grid. Aesthetically pleasing and cost-efficient to boot, the Soluxio Grid is the perfect addition to the roads of our cities and our current highways. The solar panel modules of the Soluxio can serve as an OEM platform to support your off-grid system. The solar pole’s certified solar module technology and high-capacity lithium batteries form a reliable, off-grid power supply. Integrate this cutting-edge design in your application to power it with 100% green energy. Subscribe to our newsletter and be the first to receive news about our latest developments in solar power.